Mitch Markowitz is the co-producer of the iconic Hilarious House of Frightenstein as well co-staring as the Super Hippy character with Vincent Price and Billy Van. The Markowitz Corporation originally produced 130 hour long episodes of The Hilarious House of Frightenstein specifically for CHCH TV in Hamilton, Ontario. They thought the series would run for one year and then fade away, disappearing into television heaven. On the contrary, the series was syndicated numerous times over the years across Canada, the U.S. and abroad, airing as far as Spain, Norway and Australia. The company never anticipated that the series would attain ‘cult’ status. Having been on the air since 1971, The Hilarious House of Frightenstein is the longest running kids’ TV show in Canadian history. Representing HHOF, Mitch regularly appears at Comic Cons, Festivals and other large, live events on both sides of the border meeting, greeting, signing autographs for and posing for ‘selfies’ with three generations of Frightenstein fans. The grandparents watched the original run in the early 70’s, their kids watched re-runs in the 90’s and 2000’s and their grandchildren are being introduced to our show via DVD’s, You Tube and more recent re-runs. The Hilarious House of Frightenstein inspired many of today’s superstars including Mike Myers, Jim Carrey, Alice Cooper, Steven Page, Russell Peters, Dave Thomas, John Candy and the rest of the SCTV gang. More recently, Mitch co-starred with Academy Award winner Vanessa Redgrave in Rue Morgue Cinema’s supernatural/horror feature film, The Last Will and Testament of Rosalind Leigh. The film premiered at the Cannes Film Festival to critical acclaim going on to be screened at more than 30 film festivals worldwide, garnering numerous awards. Mitch has also co-starred in The Butcher Shop FX Studio & Rabid Dog Films feature film Human Cattle, co-starred/featured as a celebrity guest on numerous paranormal investigation television series including Paranormal Investigators, Niagara’s Most Haunted and Spirits and Spice. He also co-starred as a celebrity guest in George A. Romero’s Night of the Living Dead Live. Mitch is currently in talks with broadcasters in Canada and the U.S. regarding a return of the original Frightenstein series to the air, the possibility of a reboot (a new version of the original show), an animated series, as well as discussing the work-in-progress documentary film about The Hilarious House of Frightenstein, which would include interviews with the aforementioned celebrities, as well as Victoria Price (Vincent’s Daughter), and many more.  Mitch Markowitz will be appearing at Frightmare in the Falls both days.